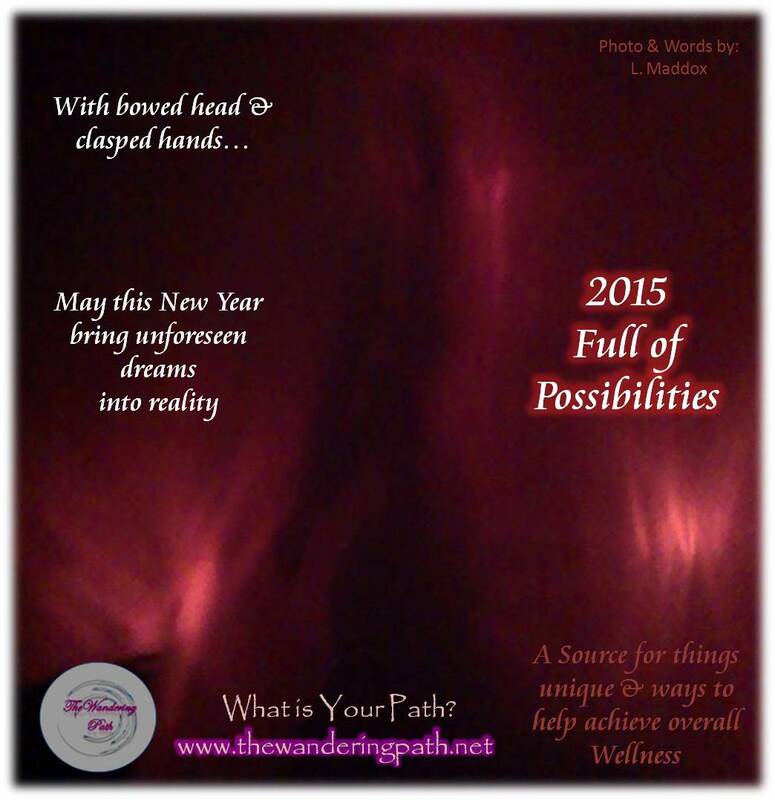 Good Morning everyone, it’s Liza, the Owner of The Wandering Path. As the New Year begins, I’m hopeful. I did the final tally for the last quarter and while it is not where I need it to be, it was better than the previous quarters so…better is good and I’ll take it. I will be getting in some new stock and hopefully some of the older stock will start to get down far enough so I can get more stuff in. I like to rotate through items, cultures, and offerings but I can’t restock until current stock goes down enough; after all I pay for everything up front… I don’t want to owe any supplier lol. I’m hoping in the next few months the supplements that are getting to the “re-order” point will continue to catch on so I can put my label on those that have earned that right. I knew it would take time for people to give them a chance and I’m happy to say those that have…have seen the benefits from them and why I’m so picky about ingredients. I wish you all a great 2015, and I hope to be able to still be in business this entire year and the popularity of the stuff I have will continue to grow. It’s all about you….it brings me great joy to help others find their own overall wellness and anyone that has met me…realizes it’s not about what I could charge you but about what you get out of it. I know some of my items are way under priced as I’ve heard about in person and I’m always shocked at what “stores” charge people for things for things that I also carry but I want you to get benefit from it without it killing your pocketbook. Whether it is aromatherapy, color therapy, health supplements, natural treatments, style expression, etc…my hope is that I can continue to address the needs of the mind, body & spirit. Achieve balance and make sure you feed your soul & creativity that way you can truly experience life around you. The photo below is one reflection caused by my Purple Bubble Fragrance Lamp that I stock (got for myself of course) and I loved how it looked, I hope you enjoy it.